Running in cold and wet environments is tough in minimalist shoes. Same minimalist design as our hard-working Bikila EVO, but with waterproof stretch-membrane construction, taped seams and and water-resistant gaiter to keep the wet environment at bay. An ideal running shoe for those looking for grip, and durability on ice. 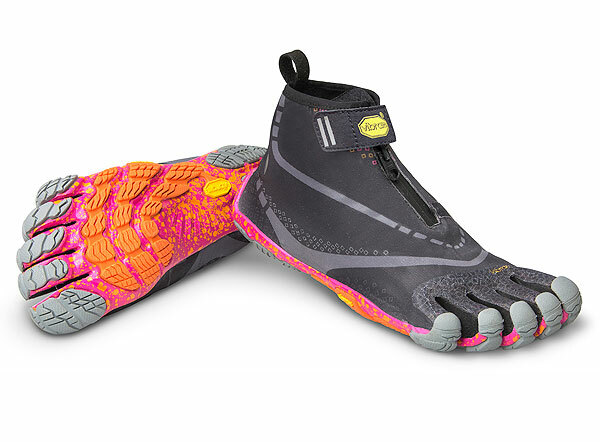 Some consumers may find that the fit of the Bikila EVO WP is snug compared with other FiveFingers models. Vibram suggest buying one size up.